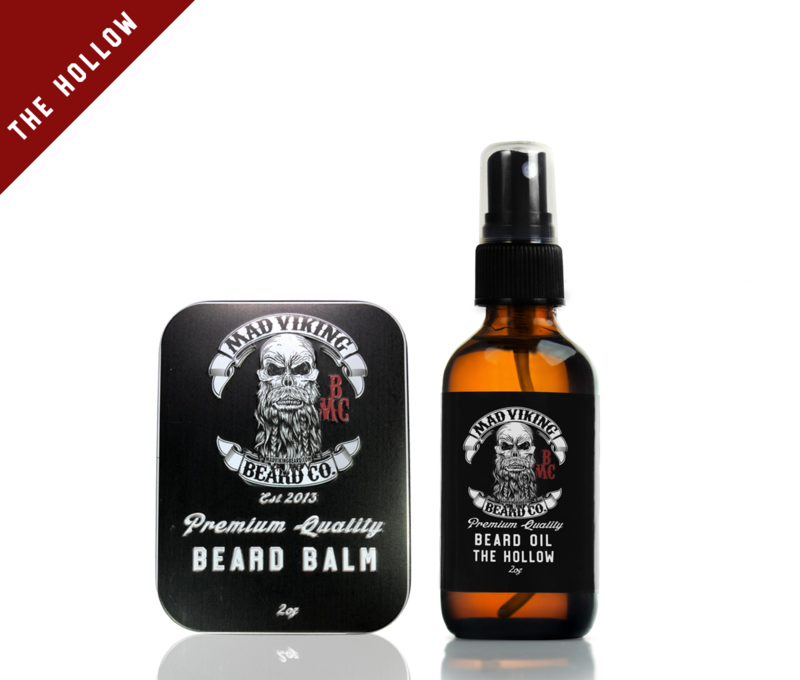 The Hollow Beard Oil & Balm Combo 2oz - Mad Viking Beard Co.
[hall-oh]: A small basin in the deep recesses of a valley. Our ancestors often sought refuge and protection amongst the thick old forests, buried deep within the hollows, where the fog is heavy and sparse rays of sunshine pierce the forest canopy. You know the place, it’s peaceful and quiet, where the smell of the forest is woodsy and pure. It’s a place where you can let your guard down and rest. 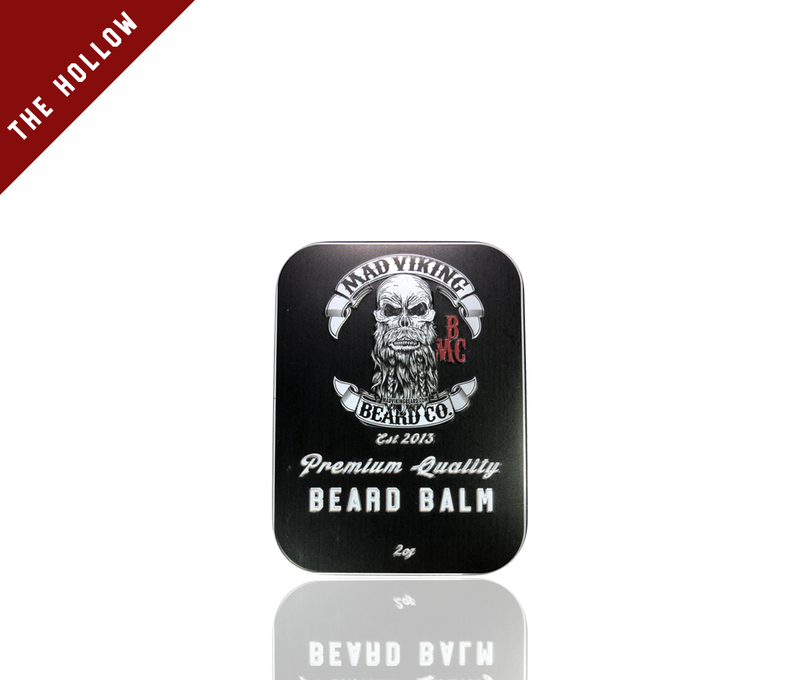 One smell of The Hollow Beard Blend and you will instantly be in that exact place. 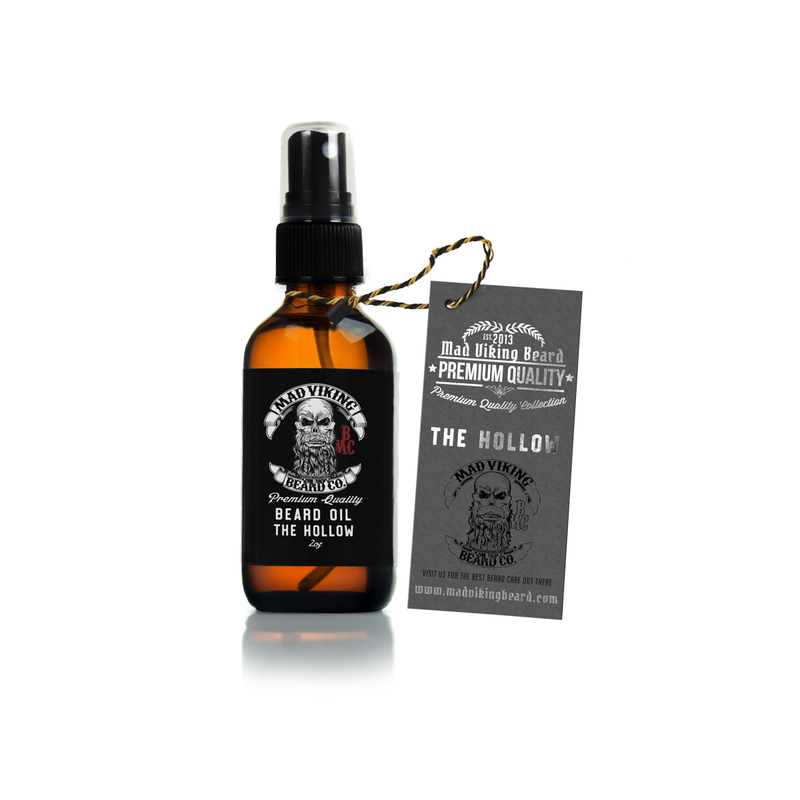 The Hollow Beard Blend is scented with such oils as Cedar, Pine, Sandalwood and Vetiver. Combining light and heavy wood tones is the secret behind this blend. We have rigorously attacked every aspect of this scent to ensure its’ authenticity. Upgrade to the starter pack and get a beard wash!